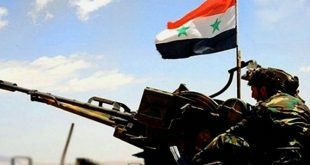 Damascus Countryside, SANA – Units of the army and armed forces made a new advance in the course of their continued operations during which they have tightened the noose on terrorist organizations in several directions on Daraa-Quneitra-Damascus Countryside axis. An army unit assumed control of Rajm al-Sayd area in the southwestern countryside of Damascus-also known as Tal al-Sayyad-after eliminating the latest gatherings of terrorists from Jabhat al-Nusra and other takfiri organizations there. 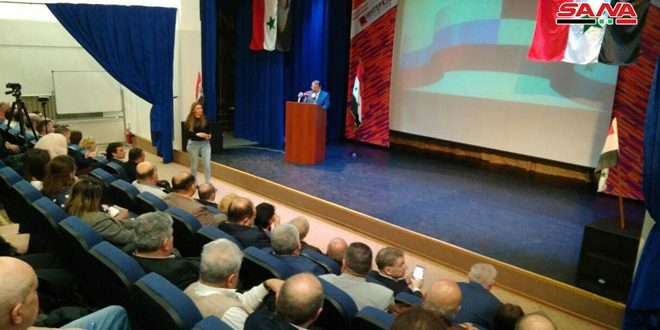 Rajm al-Sayd lies between Kafr Nasij- located 70 km to the northwest of Daraa and 50 km from Damascus- and Himrit near Quneitra. It constitutes along with a number of hills overlooking Deir al-Adas- a strategically important area in Daraa which came under the army’s control last month – a strategic area to control the road leading to Tal al-Mal (hill), which overlooks Tal Mas’hara, Nab’ al-Sakhr and Um Batina, with the latter being connected with al-Hara town and Tal al-Hara. The army’s retaking of Rajm al-Sayd came one day after establishing full control over Tal Qrin, Tuloul Fatima and the strategic towns of al-Habariyeh, Khirbet Sultana, Himrit and al-Sabsba. Terrorist organizations have acknowledged on social media pages the killing of scores of their members during the army operations over the past two days. Among the killed terrorists whose names were mentioned on the pages are Mohamed Ahmad al-Mahasda al-Numayri, Mohannd al-Hamdan, Ziad Ibrahim al-Dammad, Ahmad Imad al-Homsi, Omar Mahmoud al-Atarat, Hussein Gassan al-Abdo, Mahmoud Fawaz al-Saadi, Ahmad Ayoub al-Matar and Abad al-Salam al-Lakoud. 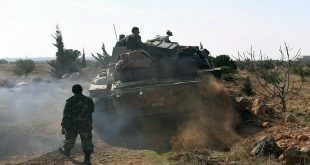 The army’s advances last month also included Deir Maker and al-Danaji towns and the surrounding hills of Tal al-Sarja, Tal Arous and Tal Merei in the southwestern countryside of Damascus. Establishing control over Deir al-Adas, Deir Makir, al-Danaji and its surrounding hills was of special importance as these areas link each of Damascus Countryside, Daraa, and Quneitra, which in turn means that all plans made by the terrorists’ operation centers in Jordan with the supervision of intelligence agencies from Israel, USA, Saudi Arabia, Qatar, France, and Turkey have been frustrated. 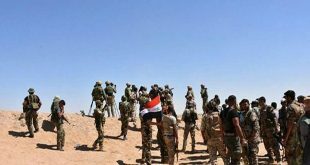 Units of Army and Armed Forces, in cooperation with popular defense groups, established full control over Tal Barrak Old Road, restoring security to over 31 villages and farms in the northeast countryside of Hasaka after rolling terrorists back. Army and Armed Forces units had pounded with artillery Islamic State in Iraq and Syria (ISIS) hideouts in Hasaka countryside. 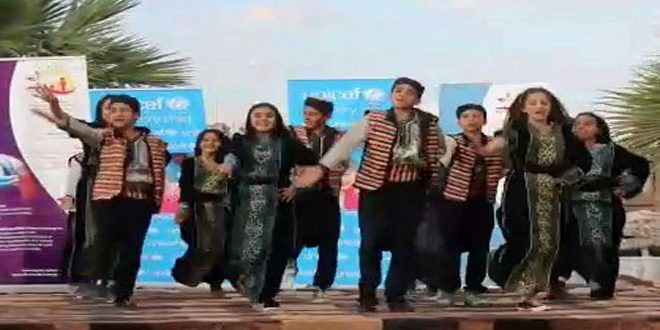 SANA reporter quoted a source in Hasaka province as saying that an Army unit repelled an attack by ISIS members against the families of al-Dawoodiya village south of Hasaka. Another Army unit destroyed ISIS gatherings in al-Meilbiya area 15 km south of Hasaka, killing large numbers of terrorists, injuring many others and destroying some of their vehicles. ISIS terrorists have committed crimes and massacres and displaced families from al-Meilabiya, a strategic area, in attempt to cut off the road linking Hasaka and al-Shadadi city. The terrorists had taken over al-Shadadi city which they converted into a stronghold, bringing to it scores of locals from the villages of Tal Shamiram, Tal Hurmiz and other villages in Tal Tamer area in the province’s countryside. 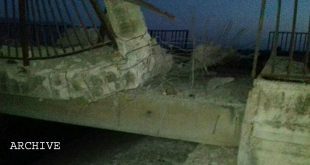 A number of ISIS terrorists were killed and others were injured during Army intensive strikes against their gatherings in Abyad village 25 km to the west of Hasaka city. Activists confirmed on social media pages the heavy losses inflicted on ISIS terrorists in the province. Aby Hamza al-Tarabulsi was identified among the dead.